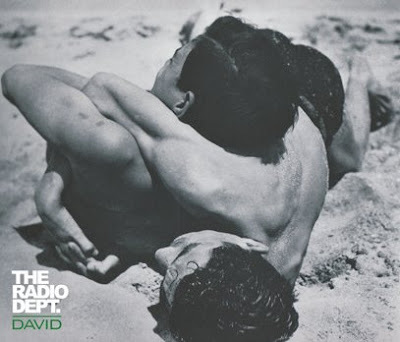 ::: Off the Radar :::: New Radio Dept. If you're like me and Sofia Coppola you're probably a huge Radio Dept. fan. She included a bunch of their songs in her movie Marie Antoinette a few years ago and for good reason. They put out amazingly melodic, timeless shoegazer-esque music that let's your mind soar. 'Pulling our Weight' and 'The Worst Taste in Music' are some of the most amazing tracks to have come out in the last decade or so, particularly if you're a lover of fuzzy guitars and beautiful subdued melodies. Their long anticipated third album is still not out, but they will be releasing a Single/EP from it first June the 24th called 'David' and supported by three other tracks. This new song continues their legacy and takes off right were they left off. You can pre-order it on their label's site here >> Labrador. How much does their new artwork remind you of Smiths covers?! Anyways here is 'David' for you to sample, plus their classic 'Pull Our Weight' that brings back so many memories for me. If you don't already have it I highly recommend Pet Grief from them. I played that CD so much in my car that it became unplayable from all the scratches.